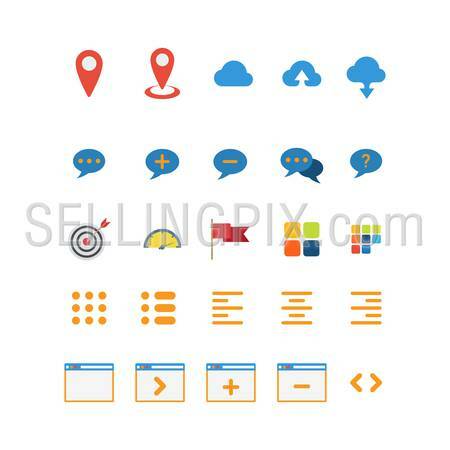 Flat high quality city street pedestrians icon set. 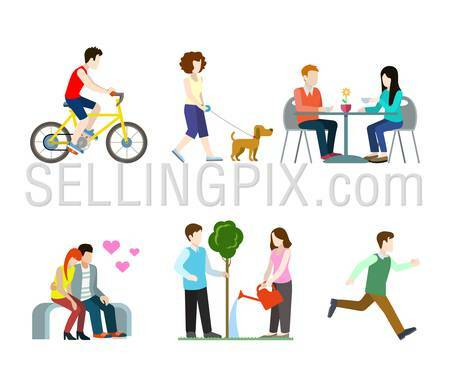 Bicycle rider dog walker cafe table bench romantic lovers tree watering runner. Build your own world web infographic collection. 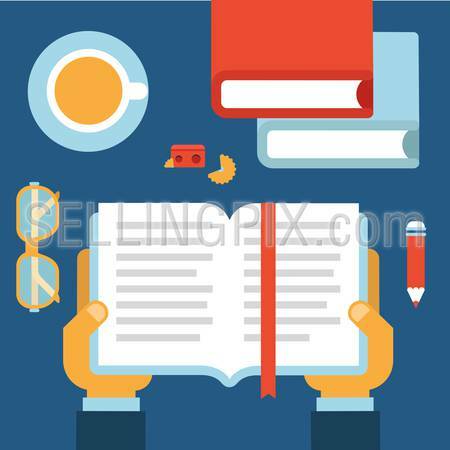 Flat style desktop with hands opened book for education reading infographic icon set. Desk with books, tea cup, glasses, pencil, sharpener. Workplace table top view collection. 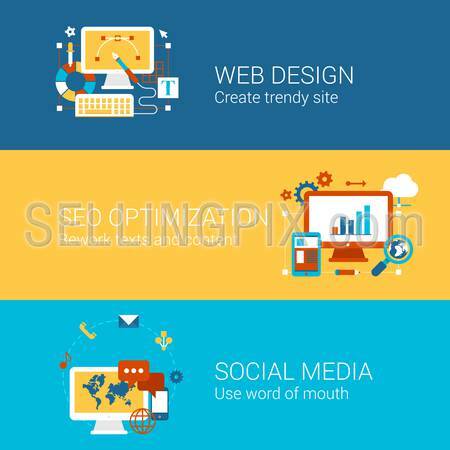 SEO webdesign social media concept flat icons set of processes search engine optimization word of mouth vector web banners illustration print materials website click infographics elements collection. 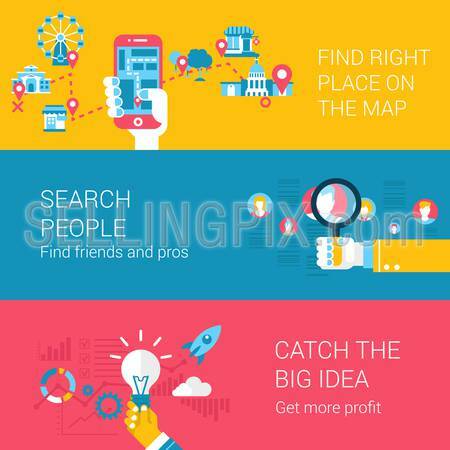 Search navigation concept flat icons set of find place on the map people catch idea start up and vector web illustration website click infographics elements collection. 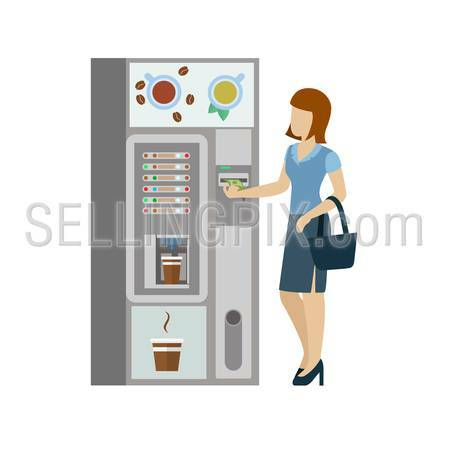 Education world university study learning professional training concept flat icons set certification and vector web banners illustration print materials website click infographics elements collection.